These cute demitasse spoons exhibit hand blown Chihuly style glass finials. The metal is unmarked and I am assuming that the spoons are modern and silver plated. 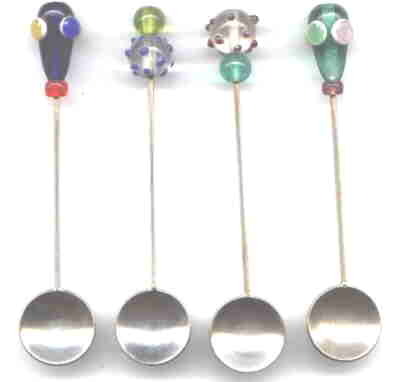 These spoons are not great art, I just thought that they were cute. I also do not know if these are from the Chihuly museum or elsewhere as the art of glass blowing is found around the world.